Snow is gently falling in thick flakes. We have our camp set up and I’m watching a family across the driveway celebrating this Christmas Eve. They have thought of everything; a full spread takes up two picnic tables lit by candles, they brought lights and begin decorating one of trees, they are singing and bundled in heavy coats, big hats and scarfs wrapped so tight you can hardly see their faces. We think about our families and Christmases passed. It takes little effort to recall the reaction on my face as a little kid on Christmas morning – since my dad has this all on video. The Christmas I was pleading to Santa Claus right before bed in a last ditch effort to remind him how desperately I wanted a kitten. The next morning, with the video camera recording, I unwrapped a pair of blue plastic cross country skis and shout, “Skis! I got skiiiiiiis!” Not a second thought about the kitten. This year, Christmas feels very different. We skimmed right over the hustle of the season and landed on the best part – the eve of the big day. We’ve got snow. We’ve got a plate heaping with cheese, sliced veggies, pieces of fruit, crackers, smoked salmon and creamy dips. We’ve got some good wine and one hell of a view. Another problem driving at night is that a each mile feels like ten. And then there is the issue of road signs. Those brown park signs are hardly visible. To see them, we have to quickly look for on-coming traffic, pull up in front of the sign, flash the off-road headlights (these things have come in handy so many times!) and hope the arrow is pointing us in the right direction. After all this, we navigate our way to the campground and try our best to level the truck, set up camp and roll ourselves into bed. The first signs of morning break and I am already awake. Colin, without even opening his eyes, unzips his sleeping bag enough for Sprite to squeeze in and zips back up. That’s a sure sign they are not ready to get up, so no need to ask. Bundled up I head out. The morning air is chilly but the sun is beautifully bright and I am ready to go explore. Looking for the visitors center, I head across the main street and see a trail through the trees with a few folks that seem to have the same idea. I can’t tell where it leads since I am cutting across a grassy median and through a thick line of pines. 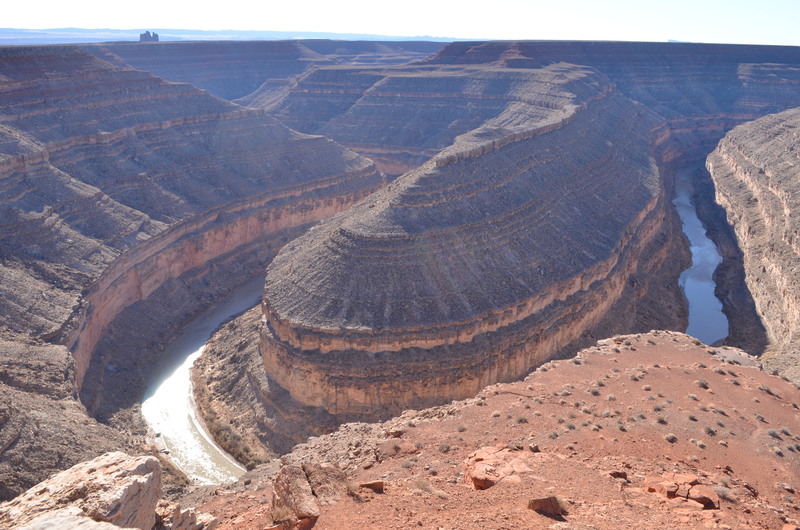 As I step onto the trail and look up, I get my first full view of the canyon. It takes me by surprise and stops me where I’m standing. It feels like the earth has cracked open to its core and every layer from the surface down is visible. Every line can be traced. Every crack seems to go on further than my eyes can uncover, and in so many directions I have to just stand and stare until my mind can absorb it all. I break from the trance and speed walk back to the camper. Colin has got to wake up! The day stays clear and the sun radiant. We spend hours moving like an ocean tide trickling from one over-look to the next. 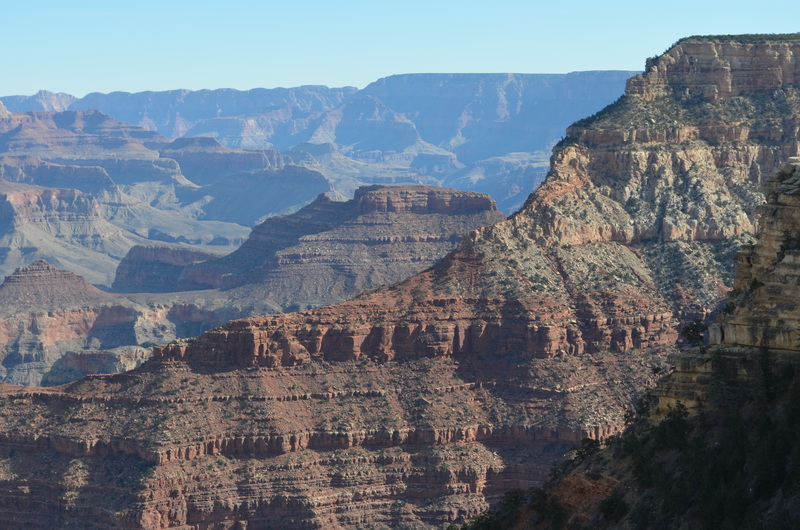 Every view point gives us a different angle, a different tint of color, a different slice through the millions of layers of rock that took about that long to create. 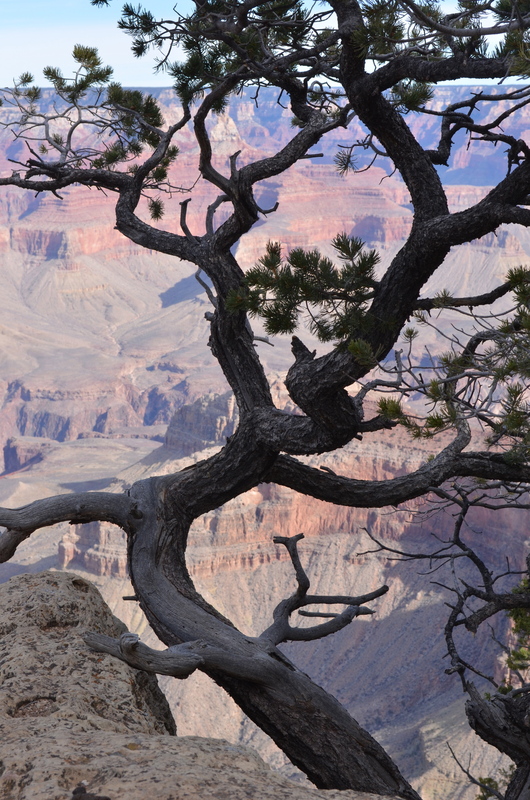 We notice visitors staring in silence, others are tapping their friends and pointing out towards something that strikes them, most are snapping pictures as fast as their fingers can press the shutter button, and a handful are stepping out on ledges that seem to be floating. We deem these “ledge crawlers” crazy, and hope their friends and family can appreciate the risk they have taken to get the perfect selfie. Snow keeps falling on Christmas Day and the temp right along with it. 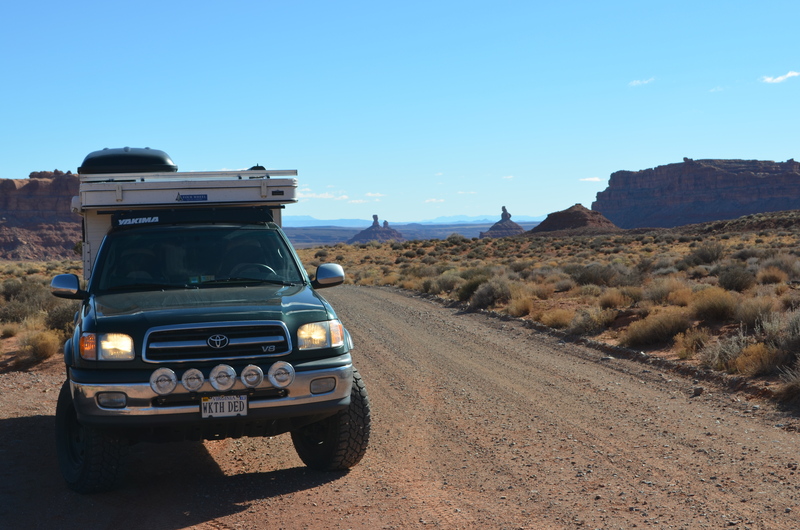 We decide to drive along an area of the park that is just out of walking distance from the campground. 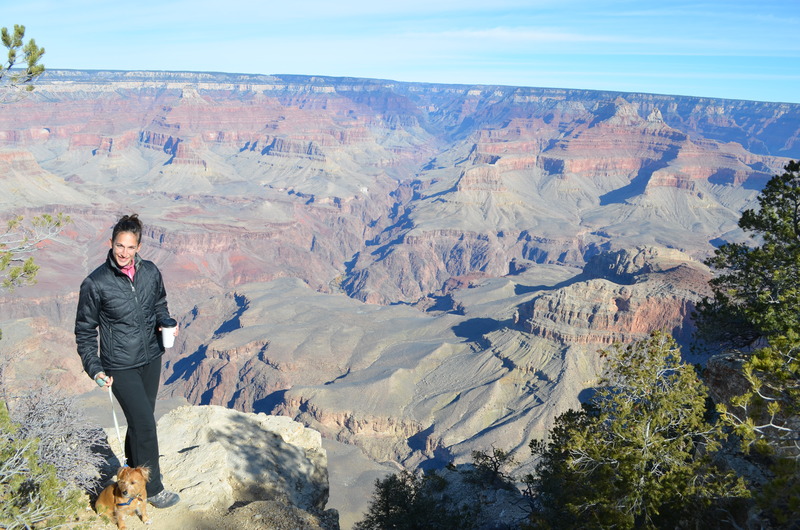 We discover new view points and the canyon looks transformed from the day before. 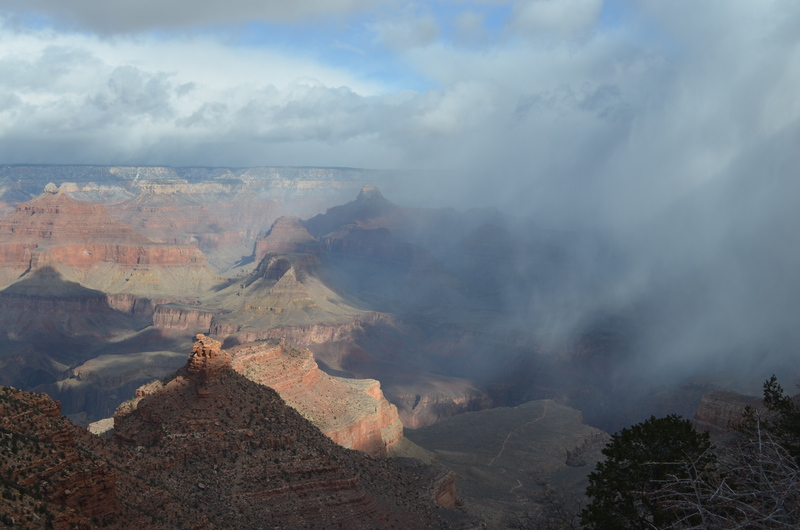 Heavy clouds huddle right above the surface filtering the sun’s rays creating streaks on the canyon walls. Hard pieces of snow swirl in the wind not certain of their direction. My thoughts don’t wander to another place or try to recall what this resembles. If you have seen it then you know. If you haven’t then you should. 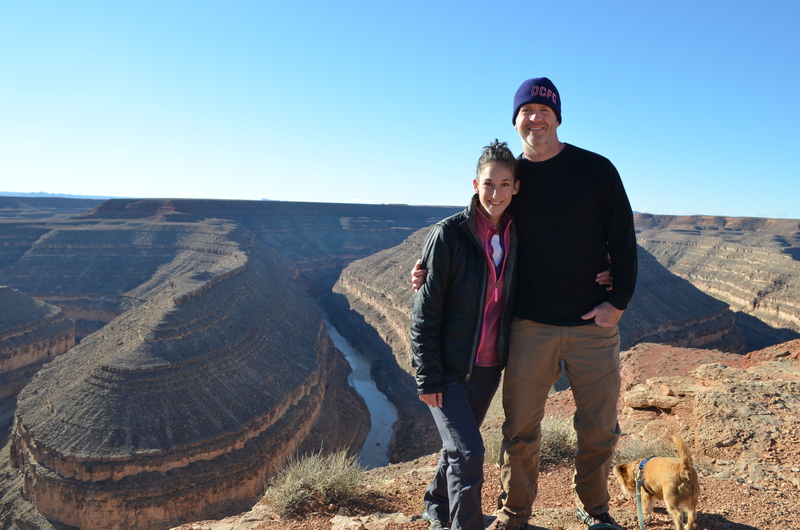 We found Gooseneck Creek just outside the Valley of the Gods; both in Utah. Camped right at the edge of this beautiful spot. Another dynamite entry, Miss Carrie. Love your descriptions – can see everything through your eyes. Thanks for this beautiful narrative. I’ve been wondering how that valley has been. It has been calling me, but I put her off. She knows I’m ready, but, as I see from your photos, she still sits pristinely in all of her beauty as she patiently waits for me to let go of my own inhibitions and come visit her again. 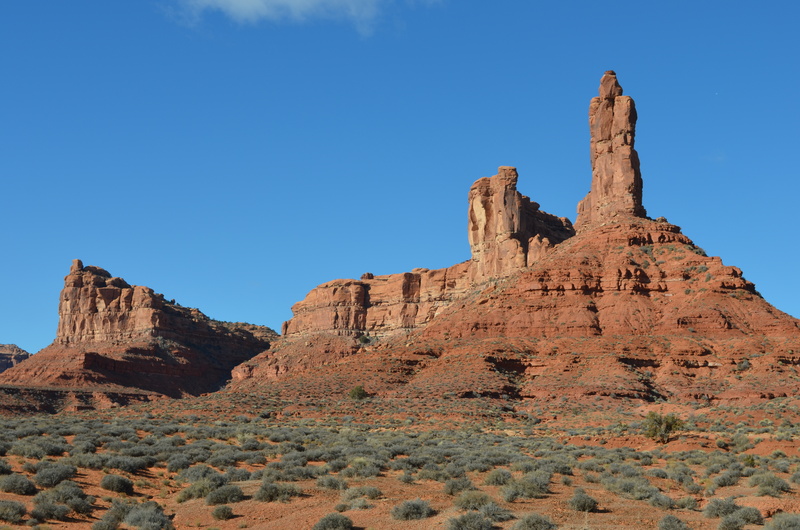 I have felt that place call so strongly, that I penned a quote dedicated to the Valley of the Gods on my fridge to remind me to respect her and not ignore her for too much longer. Just Saturday I was daydreaming of how I could get there, and the emotions welled up in my eyes as I know I still have work to do before I can be back there. I know…I know, but I think you get it. You have to get it if you’ve been there. It was one of the hardest things in my life I had to let go of. I’m pretty sure the best parts of me are still there in that valley. Thanks for sharing your story and giving me another glimpse of hope. Be well and safe travels to you both! Thank you for your kind note! 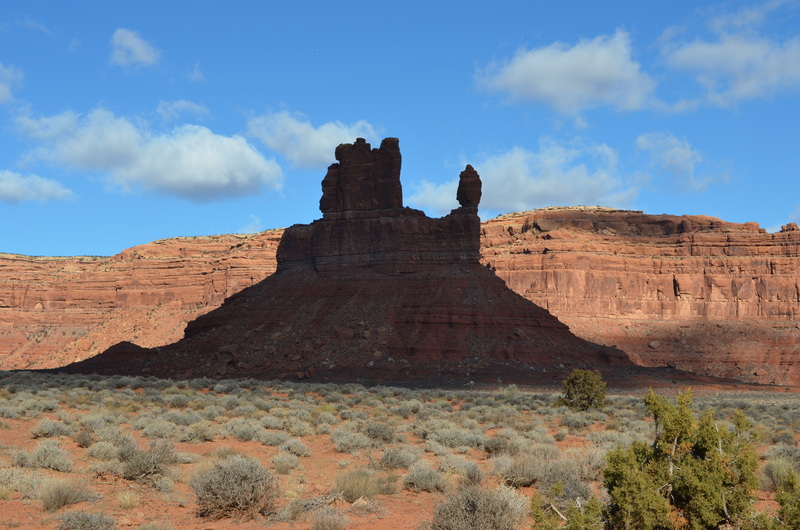 The Valley of the Gods was unexpected and beautiful. 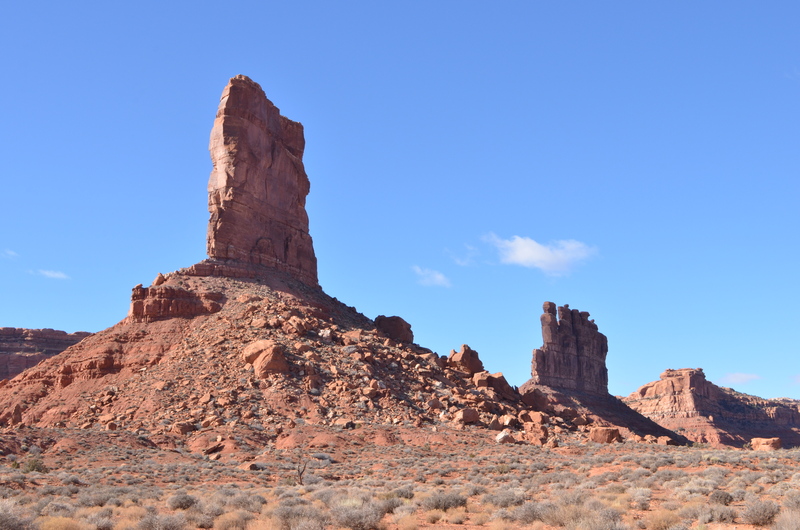 We were on our way to Monument Valley and saw a sign – so glad we turned off. I hope you make it there again.